GALION — The Galion Police Department has received several reports of pets being poisoned on the north side of the city. The reports have come from the area of North Market , North Union and Erie streets. If you happen to see someone who is acting suspicious and could be involved in these incidents, please contact the Galion Police Department at 419-468-5255 with all the information you can gather, including: the location where you saw this happen; the direction the suspect is traveling or driving; whether it is a male or female, and their description, along with a description of the clothes they were wearing; and what you saw these people doing. 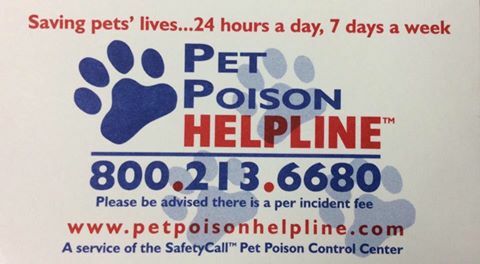 If you have a pet that may have been poisoned, call the Pet Poison Helpline at 800-213-6680 or visit www.petpoisonhelpline.com. Please be advised, there is a fee for this service.